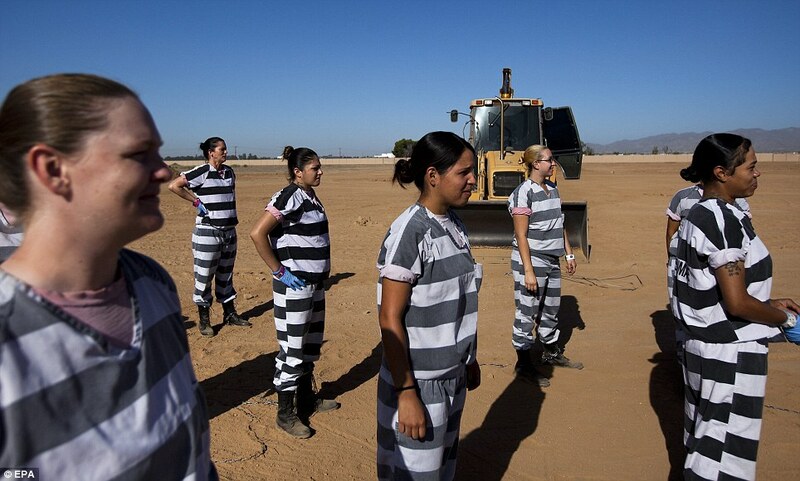 For the women of American's only all-female chain gang, the day starts early at 6am. 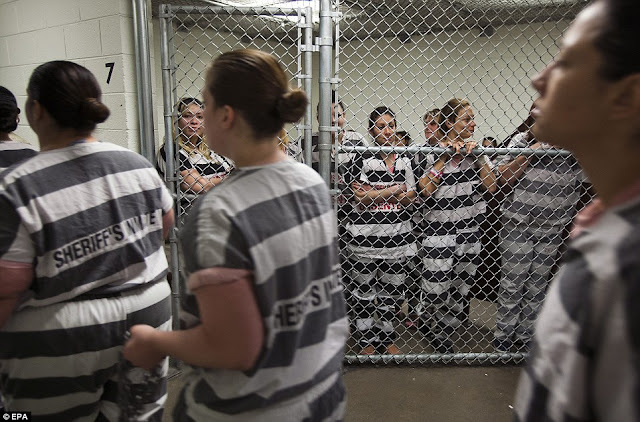 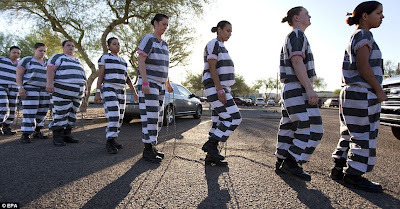 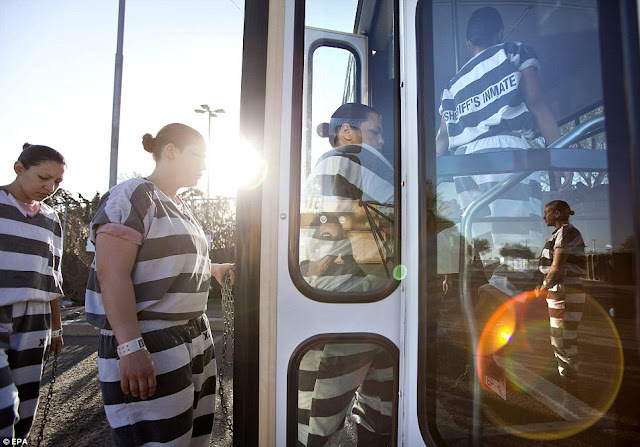 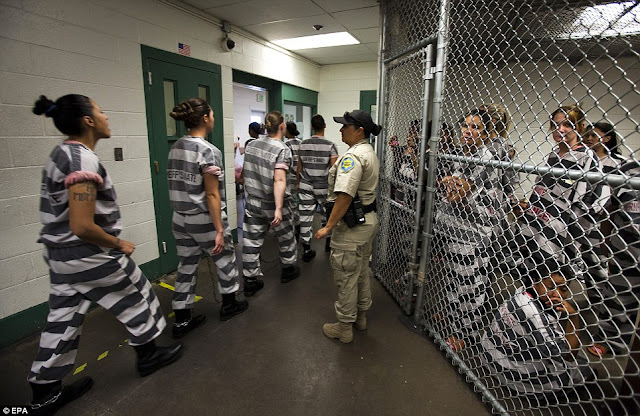 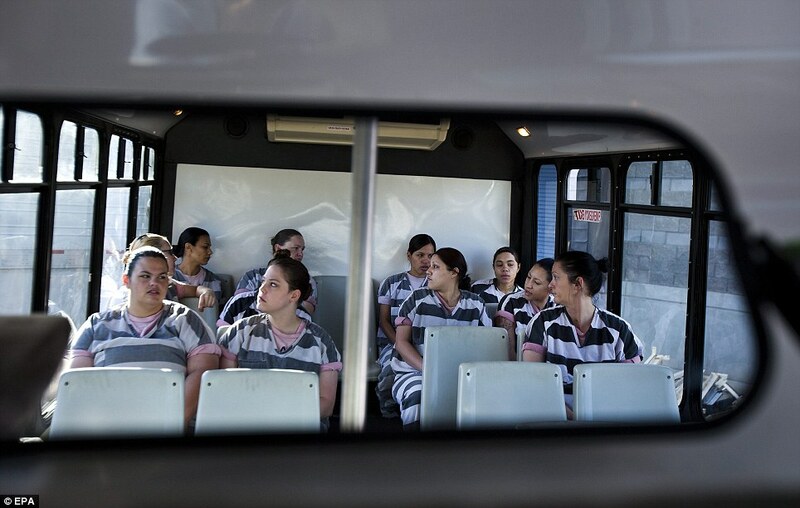 After being padlocked together at the ankles of their heavy-duty work boots and dressed in the familiar striped uniform, the female inmates are put on a bus at Estrella Jail in Phoenix, Arizona and taken off to their day's hard labor. 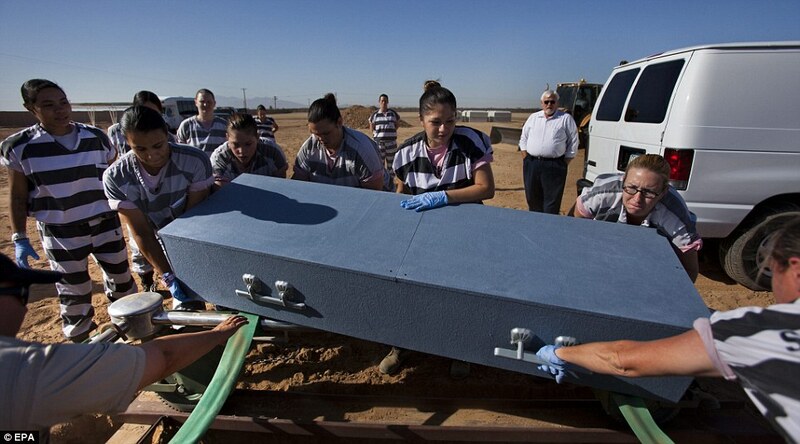 Tasks include weeding along the highways in Maricopa County or burying unclaimed bodies at White Tanks Cemetery. The chain gang was abandoned across the U.S. in the 1950s but reintroduced in Arizona in 1995 by Sheriff Joe Arpaio, America's self-proclaimed toughest man in law enforcement. 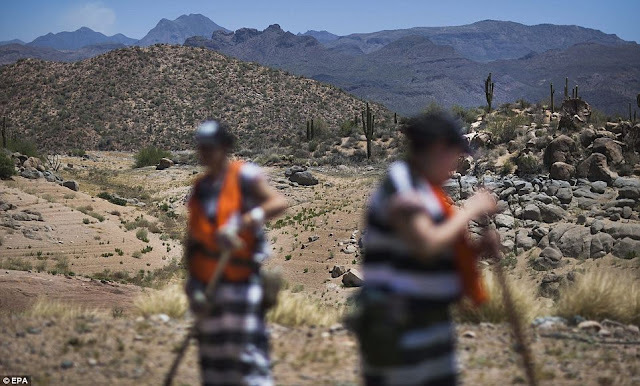 He has been accused by the Justice Department of racially profiling Latinos and denying prisoners basic human rights by serving them rotten food and withholding drinking water. 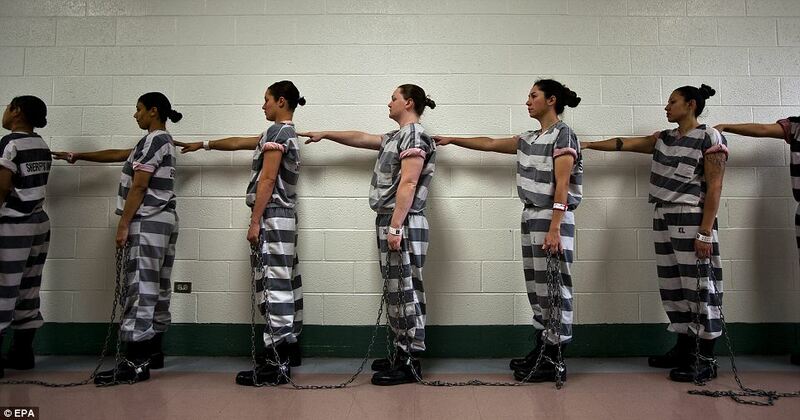 Female prisoners must volunteer for the chain gang and many do so to break up the grinding routine of jail life. 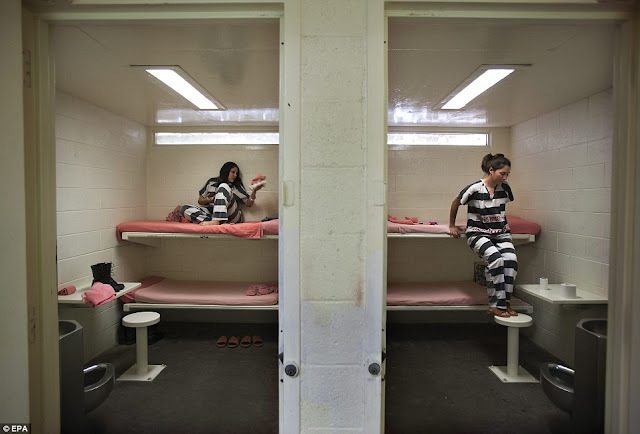 It also gets them out of lock-down, where four prisoners are kept in cells eight by 12 sq ft for 23 hours a day. 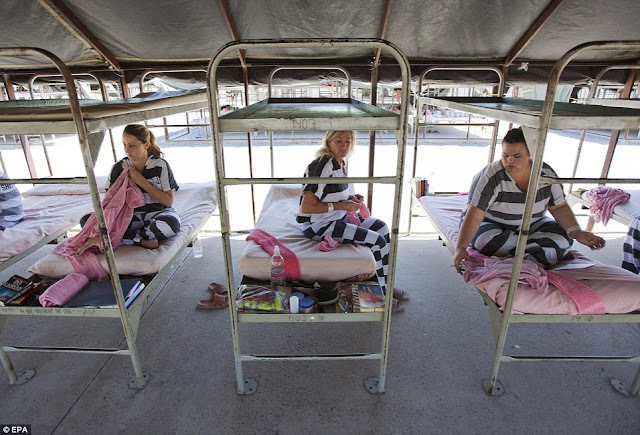 The chain gang is mainly made up of women in prison for DUI offenses and after a month of solid work, they get to move out of the cells and sleep in the comparatively better conditions of military tents next to jail's main building. 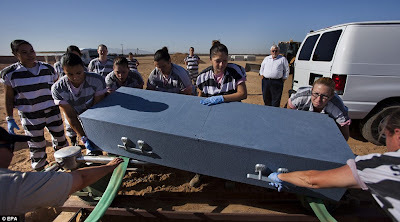 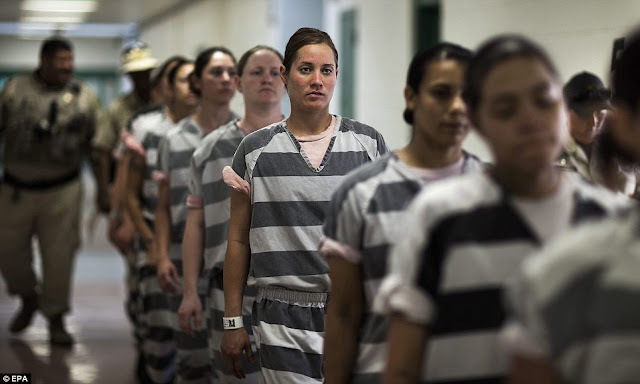 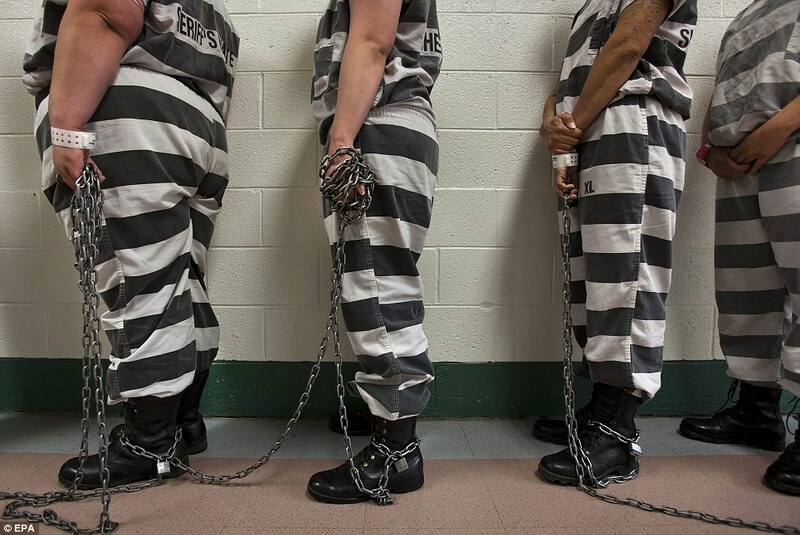 4 responses to "America's only female chain gang: The women who pull weeds and bury unclaimed bodies in Arizona desert to avoid 23 hours of lock-down in country's 'toughest jail' "
I sure wish I knew where to get some mooring chain. 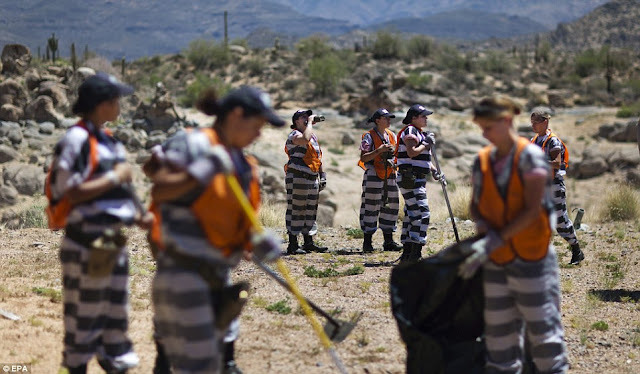 There is a ton of highway clean up and other menial task in Arizona and elsewhere that should be performed by prisoners. The state shouldn't have to pay people to do a job while inmates remain in their cells do nothing but hardening as criminals. They can cut fire breaks in the forests, remove deadfall trees and limbs, police trash along the highways. 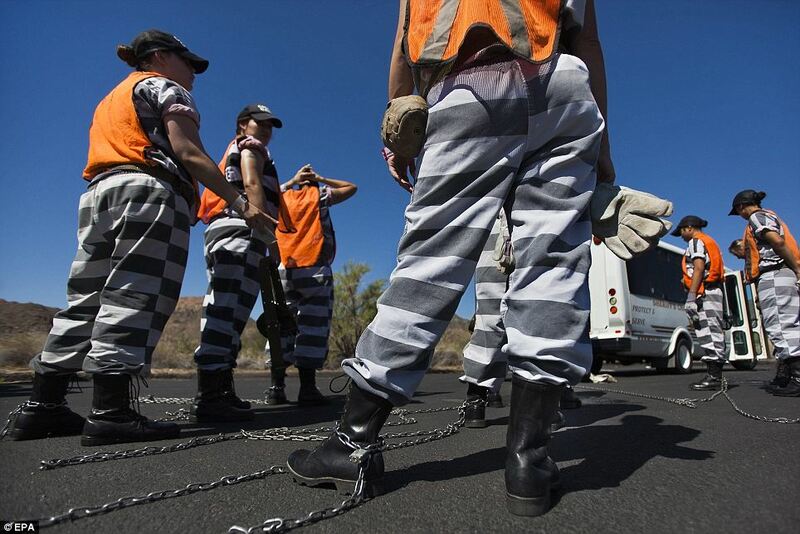 Joe Arpaio is a jerk, but public work should be a part of reform programs.